The wind is fierce today so I opted to take photos inside. 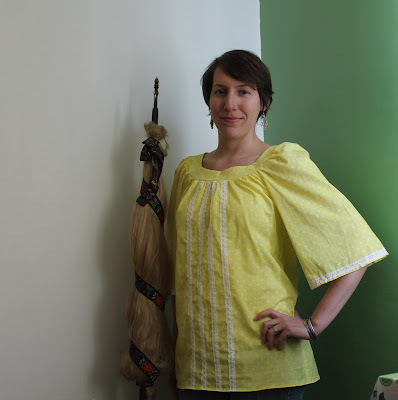 Here's my happy yellow spring/summer shirt that I sewed for my Fall Essentials Challenge (whoops!) ;) In any case, the weather is still rather autumnal here, so this shirt will have to wait a bit. I used Simplicity 3887, combining various views. For this time, I chose the tunic length, but I will definitely use this pattern again and make the shorter length with the hip band. I was originally going for long sleeves, but my fabric ended up being too narrow to fit the sleeves. I suppose I could've pieced together the sleeves, but I just went with the 3/4 length instead. The fabric is really too light to be appropriate for fall/winter, so long sleeves aren't necessary. Back view, goofing around. You can see here that I have to wear a cami underneath, otherwise it's too see-through! I sewed by hand the sleeve hems so as not to distract from the lace. I quite like the touches of lace. This was my first project using lace and I have at least two other shirts planned with lace now! I broke some "rules" regarding my figure and coloring with this project. According to my 'color chart' yellow isn't supposed to flatter my skin tone, but I think it looks okay. Maybe it depends on the shade of yellow. I cut a size 12 originally and it was huge, so I took out probably 4 centimeters from the side seams. I used French seams to sew those up. And then just pinked the rest of the seams. However, I did apply bias binding for the inside neck band because it was pretty ugly just leaving those gathers out in the open like that. 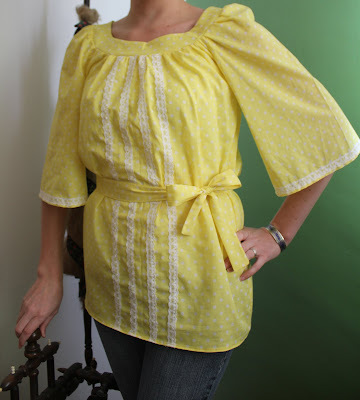 This shirt was so easy to put together - no buttons, no zippers - that I didn't mind adding that teensy detail to make it sturdier. So now I only have one project left for my FESA - Simplicity 2339 - and the fabric is ironed and ready to go. 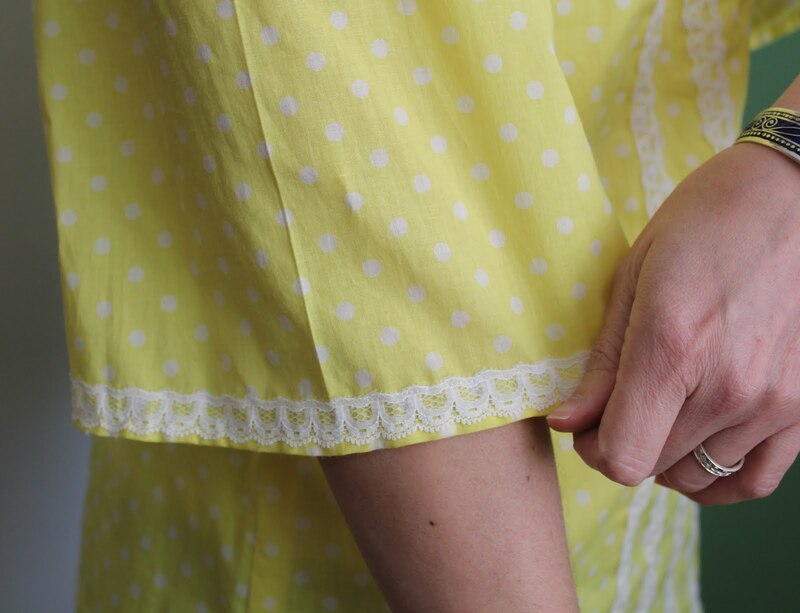 I love this color yellow on you, and the lace is a fantastic touch! 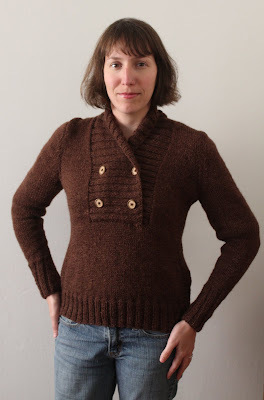 The length is also great on you, and I am a big fan of the neckline ... I think I may need to pick this up for myself :) Well done! I love the lace on your top...love the polka dot fabric too! Yay for the polka dots and I love the lace - very cute top!